*To qualify for the student rate, you must provide evidence that you are a full time student at the time of the Meeting. Accepted forms of evidence include a letter from the university registrar’s office confirming your enrolment status or an official transcript of the classes you are undertaking. Full payment for registration fees must be received prior to the AMNDS 2018 meeting. Payment of early bird registration fees are required by the specified date to qualify for the rate. Abstracts will only be accepted for consideration following full registration of the presenting author. A link to the Abstract Submission Portal will be included in your email confirmation following completion of your registration. All prices are in Australian dollars and are exclusive of Goods and Services Tax of 10%. Credit Card: Debits to your credit card will appear as ‘AUS MND Symposium’ on your statement. Order completed and registration confirmed during checkout. Your registration will not be confirmed until the funds have cleared in our account. Please email [email protected] to let us know that you posted your cheque. A receipt and confirmation of your registration will be emailed to you once funds are received. By completing and submitting a registration form, you are indicating your intention to attend the Symposium and you will be liable for a cancellation fee if you are unable to attend. Registration cancellations received up to 30 days prior to the Symposium will receive a refund, less a $85.00 AUD handling fee. No refunds will be given for registration cancellations received within thirty (30) days of the Symposium; however a substitute delegate may be nominated. Cancellations for additional purchased welcome cocktail event function tickets are not permitted. If, for reasons beyond the control of the Organising Committee, the Symposium is cancelled, registration fees will be refunded after the deduction of expenses already incurred. By registering for the Symposium you are confirming consent for any video and photographs taken at the Symposium which you are in may be used by the Organising Committee in promotion of the Symposium. 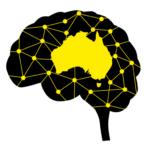 In the event of industrial disruptions or natural disasters, the Australasian Motor Neurone Disease Symposium (AMNDS) Organising Committee, and FightMND, cannot accept responsibility for any financial or other losses incurred by the delegates. 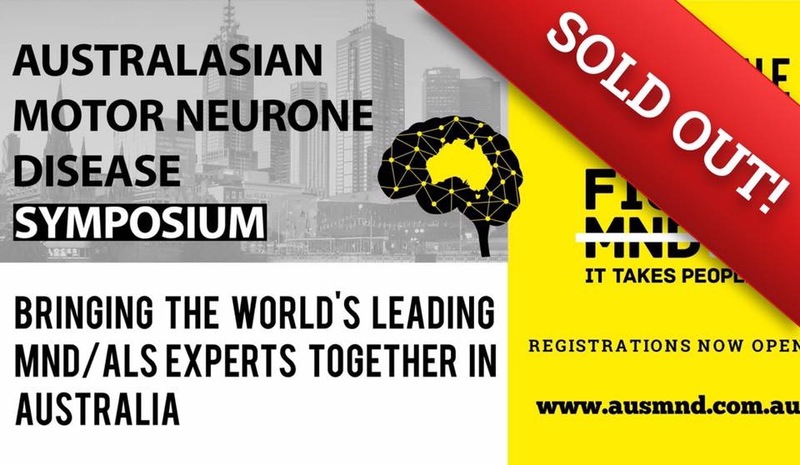 It is agreed that the Organising Committee for the 2018 Australasian Motor Neurone Disease Symposium , and their agents and officers, reserve the right to cancel at any time any or all of the programmed or other activities if this should appear necessary as a result of events which are beyond their control or which they cannot reasonably be expected to influence or for which they are not responsible. The Organising Committee and FightMND take no responsibility for injury or damage to persons or property occurring during the symposium. All insurance, including medical cover, or expenses incurred in the event of the cancellation of the symposium is the individual delegate’s responsibility. Attendees are encouraged to choose a travel insurance policy that includes loss of fees/deposits through cancellation of your participation in the symposium, or through the cancellation of the symposium itself, loss of airfares for any reason, medical expenses, loss or damage to personal property, additional expenses and repatriation should travel arrangements have to be altered. The Organising Committee, and FightMND will take no responsibility for any participant failing to insure.